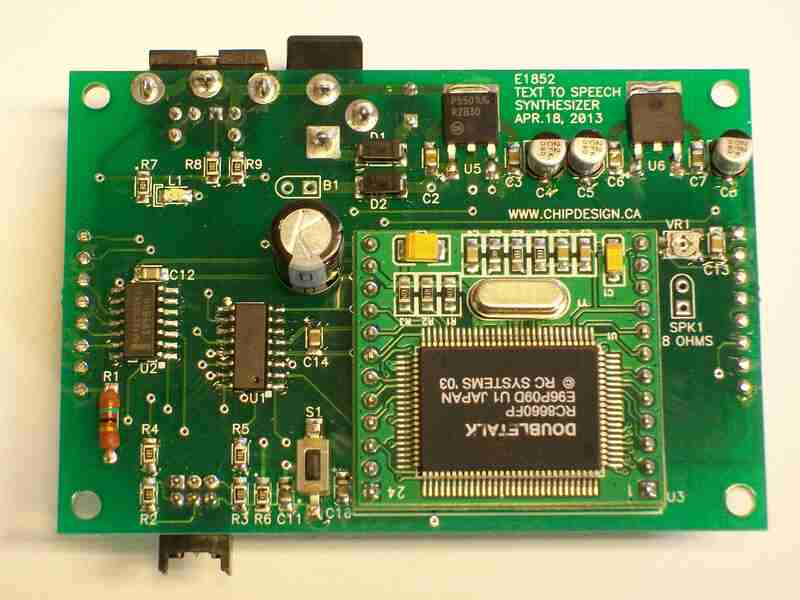 E1852 Text to Speech Assistive Device | Locus Engineering Inc. The E1852 Text to Speech Assistive Device allows a speech challenged person the ability to speak from typed text via a PS/2 keyboard. Speech is spoken on either a character, word, phrase, sentence, or paragraph. An integrated DTMF dialer, and on-hook, off-hook, ring detect, and dial number commands allow conversation over the telephone line.